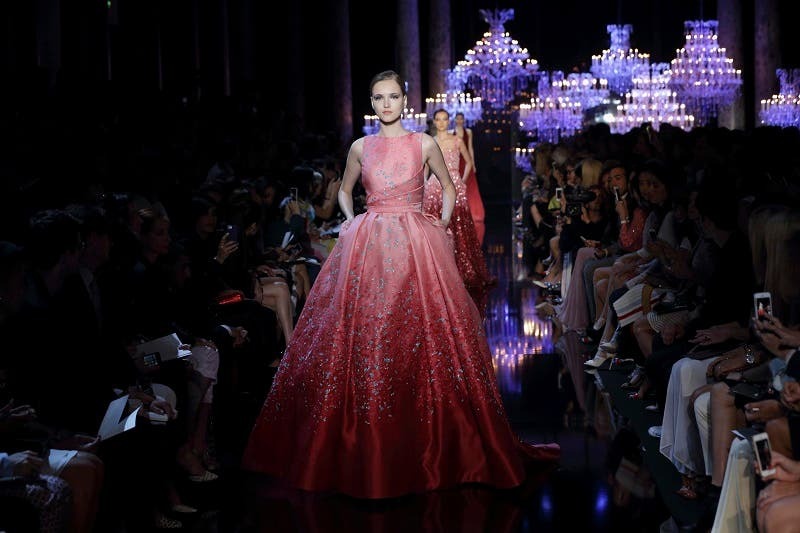 Paris Haute Couture fashion week brings together prestigious designers to present their latest collections as the world’s style-savvy onlookers gush at all the “haute” trends. The recently wrapped up fashion week was studded with Lebanese designers such as Elie Saab who can now stand their own against such names as Chanel, Christian Dior, Valentino and Jean Paul Gaultier. Saab’s alluring collection was full to the brim with red carpet looks and cocktail dresses. The crystal chandeliers that hung over the runway bounced light off the glamorous evening wear; ice blues, coppers, grays, pinks and subtle shades of white colored the collection which was embellished with intricate embroidery of sequins, pearls and cabochons. The grand finale, as if anything could top the luxurious extravagance of this collection, was a wedding dress fit for the top of a cake. Chanel’s Fall/Winter 2014-2015 collection saw Karl Lagerfeld deftly mix chiffon, tweed and organza to create a modern silhouette. Blacks and whites were challenged by fiery reds, rusts and golds on the runway and chic flat shoes and elegant cycling shorts even made appearances. Christian Dior decorated the space at the museum Rodin with thousands of white orchids as designer Raf Simons presented a simple, feminine collection. The list of designers was rounded out with powerhouse names such as Jean Paul Gaultier which took inspiration from all that is Gothic. Atelier Versace, Donatella Versace re-visited the glory days of the house with inspiration from contemporary and grunge looks. Other big names in fashion included Moroccan Bouchra Jarrar, who showed her true love of tailoring in her Couture #9 collection. Zuhair Murad also presented a collection for the evening with twist of elegance. Georges Chakra’s collection for this season was inspired by American photography from the 1950s. The Dubai Based Syrian Designer Ramy al-Ali also presented his Couture collection. Inspired by nature, it was whimsical and romantic. 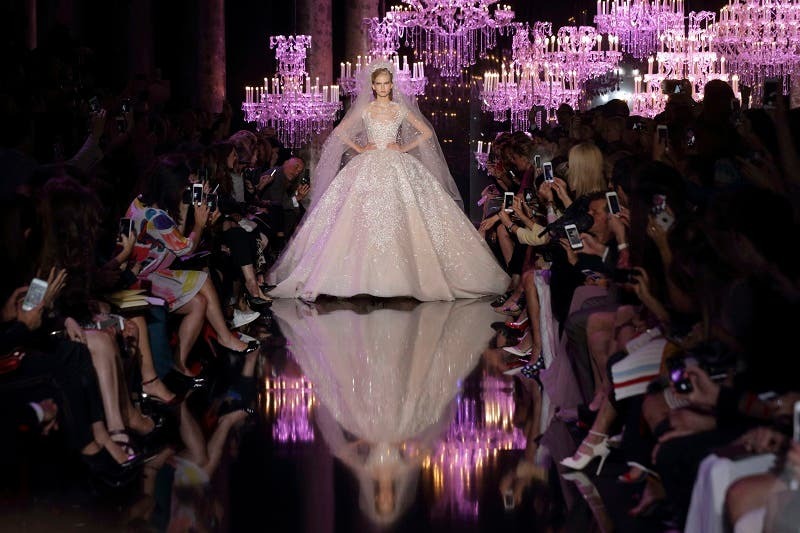 The breathtaking experience that is Paris Haute Couture fashion week gives onlookers the chance to explore the creativity of the world’s brightest fashion stars. Once haute couture was synonymous with Paris, now, designers from the Middle East and buyers from all over the world are taking to the design studio and buying up their very own garments of luxury.